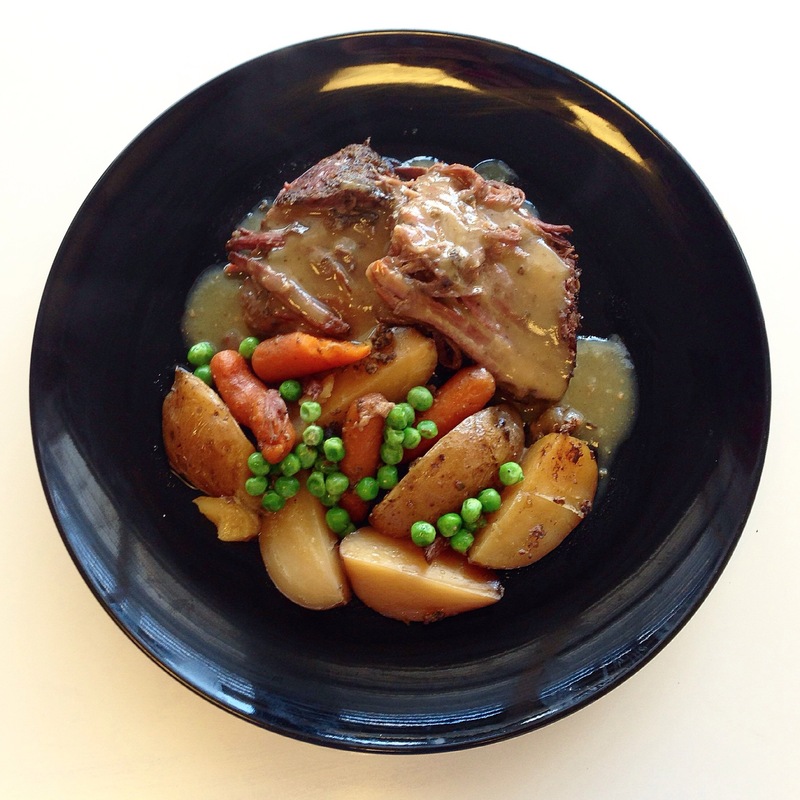 Take it Nice and Sloww: Slow-Cooked Potroast in Gravy with Root Vegetables – Pao Says, "Open Wide!" What could be better than coming home to dinner almost ready, and your whole house (/tiny apartment) smelling like a heavenly dinner?? Well, Ryan gets this almost every night, it what about me? Enter: crock pot. Trader Joe’s has a Cabernet-marinated pot roast (seriously, are they paying me yet??) that I browned for like 5 minutes in the morning, and then tossed in a crock pot with 3/4 cup of chicken stock and some chopped carrots and potatoes. Fast forward 10 hours later, when I’m finally home from clinic, and it’s dinner time. The meat is so tender it’s falling apart and the veggies have absorbed the flavors from the meat and marinade. At the very end, I toss in some frozen peas, because I like these to retain their bright color and crispness. They sell crock pot seasoning packets now, which I will have to try soon, but regardless of what you use to season your pot roast, you an follow this easy gravy recipe to complete your dish! Melt 2tbsp butter in a saucepan and whisk in about 2 tbsp butter to get your roux started. This is the thickener for your gravy. After you cook this over med-hi for about 3-4 minutes, whisk in about 1-1 1/2 cups of the juice/sauce accumulated in your crock pot. Make sure you fully whisk it in until smooth. This mixture will thicken up within 3-5 minutes… And create a decadent gravy sauce for your meal. Enjoy! !